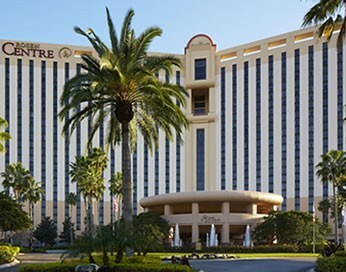 Rosen Hotels & Resorts currently owns and operates nine properties in the Orlando destination market. 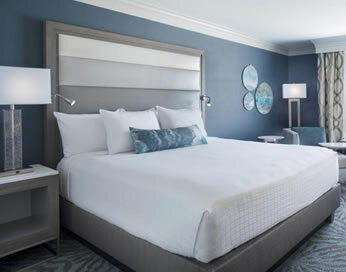 These properties total more than 6,300 rooms and suites, making founder and President Harris Rosen the largest independent hotelier in Florida. 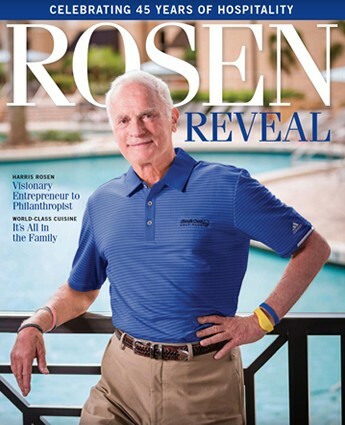 Numerous hospitality-industry awards, employee longevity, and a reputation for quality have fueled Rosen Hotels & Resorts’ growth for over 42 years. 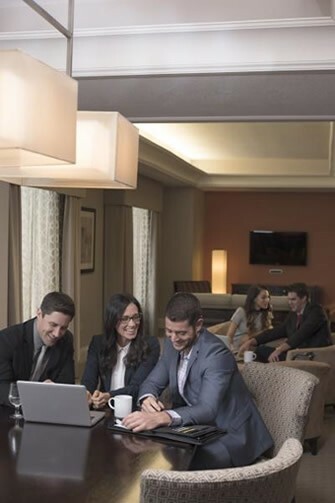 Meeting Space: more than 150,000 sq. ft. 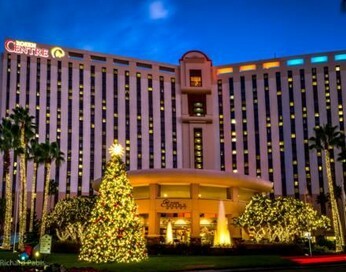 The hotel offers over 150,000 square feet of state-of-the-art, sophisticated meeting space, including the 35,000 square-foot Grand Ballroom, the 18,000 square-foot Executive Ballroom, 14,448 square-foot Junior Ballroom and 35 breakout meeting rooms. The property offers two freight access doors. 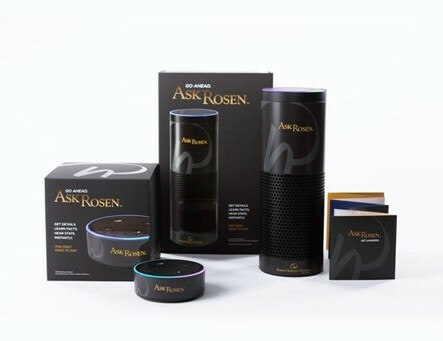 Advanced technical support, four permanent registration areas (renovated with black granite counter tops) featuring lockable offices and separate storage, high-tech teleconferencing and simultaneous translation are also available at Rosen Centre®. 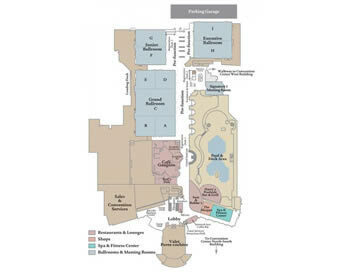 Rosen Centre® offers nine restaurants/ lounges offering cuisine from gourmet to deli fare. Everglades Restaurant and Bar offers superb dining in a beautiful themed setting that captures the atmosphere of the Florida Everglades. 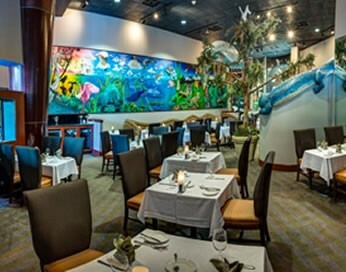 Prime steak, fresh seafood and regional specialties are served in this fine dining establishment, and a quiet lounge is available for relaxing before or after dinner where guests can enjoy a drink while surrounded by the Everglades Bar’s tropical aquarium. Cafe Gauguin offers extensive buffets, as well as full-service menus for lunch and dinner in a casual dining atmosphere. 98Forty Tapas & Tequila offers sophisticated tapas-style dishes and an extensive selection of 40 premium tequilas. The menu is comprised of innovative appetizers featuring fresh, seasonal ingredients in a blend of Mexican and Spanish flavors that are perfect for sharing with colleagues and friends. Why the unusual name? 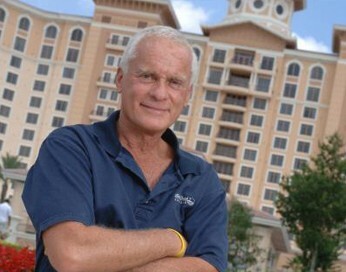 It’s a clever play on the hotel’s address, 9840 International Drive. Banshoo Sushi with bar seating for six and a communal table for 12, featuring a creative selection of specialty sushi rolls, fresh sashimi and inventive signature seafood dishes as well as distinct cocktails, wines and sake in a casual atmosphere. Menu available in Sam & Bubbe’s™ Lobby Bar & Lounge, Everglades and other dining outlets. Guests can place orders and pick up at the bar. Red’s Deli serves New York flavor, snacks, baked goods, and convenience items 24 hours a day. Sam & Bubbe’s™ Lobby Bar & Lounge is a great lounge for a laid-back night of relishing traditional Jewish noshes, savoring your favorite drink, and enjoying conversations with friends. Smoooth Java proudly serves gourmet coffees along with a variety of fresh muffins, pastries and desserts. Harry’s Poolside Bar & Grill Escape into a tropical atmosphere where you can kick back, relax, and enjoy the flavors of Cuban-Caribbean cuisine at Harry’s Poolside Bar & Grill. From mojito-glazed salmon and conch fritters to mango crab cakes and grapefruit and habanero NY sirloin, Harry’s Poolside Bar & Grill is an oasis for your appetite. 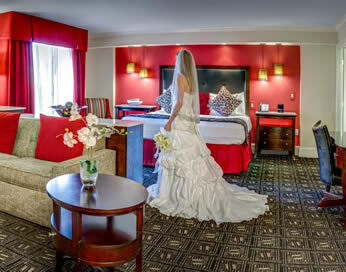 Prompt and convenient room service is also available 17 hours daily.